Constipation is difficulty or delay in the evacuation of bowels caused feces volume is too loud or too small feces. Prepare as many as 60 of sweet potato leaves, and then boiled with water as much as needed. And then drink the water while warm, and leaves can be eaten. Or can be another way, namely: washing 60 grams of sweet potato leaves and 60 grams of kangkung (ipomoea aquatica Forsk. ), and fried in oil or boiled with water as much as needed. Eat as well as vegetables. Prepare 30 grams of and Alamanda leaves, boiled with water (as much as needed), then drink while the water is warm. This ingredient use Temulawak (Curcuma xanthorrhiza. Roxb.) herb As the medicine. This herb have a chemical compound, like volatile oil (limonina) the scent, while the flavonoida substance has benefit to heal inflammation. It's volatile oil can also kill the microbes. The terbang oil contained are anetol, pinen, felandren, dipenten, fenchon, metilchavikol, anisaldehida, anisat acid, kamfen also contain of fatty oil. Temulawak has pharmacologic effect as anti-constipation, acnevulgaris, anti-inflammation and anti hepatotocsic, laktagoga, kolagoga, tonic, diuretic, fungstatic and bakteriostatic. Fennel also helps to remove the black wind, water and encourage the arts. To cure constipation, take 10 grams of Temulawak powder, boil with 200 ml of hot water. After warm enough, drunk regularly 2 times a day. Following herbal ingredients is using papaya (Carica papaya L). This herbs rich in Alkaloid papaina; Karpaina; Pseudokarpaina; Glikosida karposid; Saponin; Karisina; Papaina; Papayatimina; Fitoklimasa; Karatinoid; pectin; Galaktosa; galakturonat acid. Papaya has a property Stomachic; Emenagog; Antelmintic; Anti inflammation; Antelmintic, and Diuretic. Ingredient: Wash 300 grams of papaya fruit, 200 grams of half-ripe pineapple, and being refined with the blender, add 200 ml of drinking water. Drink this concoction. Alternatively, eat as much as 150 grams of ripe papaya fruit, regularly, twice a day. Aloe Vera leaf (Aloe vera Linn.) rich in food fiber that is good for preventing constipation and throw feces. 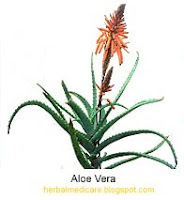 For remedy, take 100 grams of Aloe Vera leaves that have been peeled and sliced, small slices, boiled with 200 ml of water until boiling, then add 1 tablespoon of honey. Drink while it is warm, and eat the Aloe Vera leaves. Do twice a day. Herbal prescription drugs above are the traditional medicine that usually be used by the Javanese people to cure constipation. To ensure safety, please consult with your doctor.